Adams Electric wwas recognized for donating a new solar-powered and vandal-proof lighting system to Roselawn Cemetery. Cemetery officials said they have had a chronic problem with vandals damaging the lighting system that illuminates the American flag in a section of the cemetery sponsored by the Retired Enlisted Association. Roselawn officials were going to hire Adams Electric to repair and replace the lighting system but the company ultimately donated its work and equipment to honor the veterans buried there. “We were moved and thrilled by what Adams Electric was willing to do to show their support for veterans,” said Lucille Corsentino, president of the Roselawn Foundation. Big shout-out to our member Adams Electric for stepping in to help their community in any way they can! Pueblo Community College’s science technology, engineering and mathematics program has received a boost from Xcel Energy that will help bring in speakers and provide more career exploration opportunities for students. On behalf of PCC, the Pueblo Community College Foundation is the recipient of a $10,000 grant from the Xcel Energy Foundation. The award, which will benefit the PCC STEM Center, was made possible through an Xcel Energy Foundation Economic Sustainability grant application submitted by the PCC Foundation. The funds will be used to enhance PCC’s Stars of STEM speaker series. The PCC STEM Center opened in 2015. It engages students of all ages and backgrounds. In addition to the Stars of STEM series, Mathews created Tech Tuesdays and Science Thursdays to showcase professionals and topics in those disciplines. Full story at the Chieftain! Colorado hosted a record 86 million visitors in 2017 who spent nearly $21 billion during their in-state travels, according to new report compiled by the state’s tourism office. The 84.7 million U.S.-based travelers and nearly 1 million international visitors also generated a total of $1.28 billion in state and local tax revenues, studies found, marking the eighth consecutive year of record-setting growth. “Colorado has been emerging as a national destination over the past five or six years, and we’re continuing to carve out our share of the marketable leisure travelers in the U.S.,” said Cathy Ritter, director of the Colorado Tourism Office. “That holds great promise, especially with additional investment into the tourism sector in the future. In 2017, the Colorado travel industry directly supported 171,000 jobs and earnings of more than $6.3 billion, a 3.4 percent increase over 2016. Colorado last year attracted 37.9 million overnight travelers, including 34 million leisure (non-business) travelers. By comparison, Denver had 17 million overnight visitors in 2017. The state overall saw a 2 percent increase in marketable leisure travelers in 2017 – on top of a 9 percent increase in that category in 2016. While the rest of the U.S. was flat in 2017 (and up 4 percent in 2016), Colorado’s increases moved the state from the 13th-largest share to 8th largest share of these travelers in just two years. The most popular place to visit in Colorado is the Denver metro area. Last year, 6 in 10 vacationers spent at least some time there, and 46 percent spent at least one night. 1 in 4 leisure visitors spent time in the mountain towns and ski resorts, Pikes Peak Region and/or the northern Front Range in 2017. About 1 in 7 tourists visited the Western Slope Region, while 1 in 20 took in the Eastern Plains or San Luis Valley. Read more about the boom in tourism at the Post’s website. A Minnesota-based fresh produce distributor on Monday announced plans to expand into Colorado by opening a 163-worker processing and distribution center at the vacant former Mars/Doane building at the airport industrial park. Russ Davis Wholesale, based in Wadena, Minn., plans to invest $8 million to $10 million to purchase the 125,000-square-foot building and ready and equip the site for operations by September. 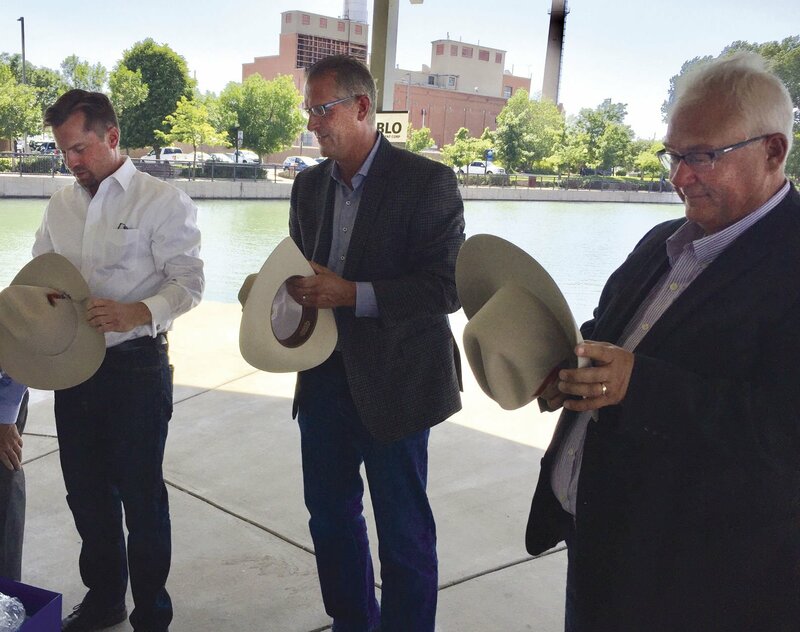 Company executives detailed their plans at a jobs announcement Monday afternoon at the Lake Elizabeth pavilion at the Historic Arkansas Riverwalk of Pueblo. The city of Pueblo offered the company a $2.6 million jobs incentive grant from its half-cent sales tax fund for economic development, which was approved by City Council later Monday. Pueblo Community College will provide an estimated $130,400 in pre-employment training. The jobs will pay an average wage of about $17 an hour, PEDCO officials said. The company chose Pueblo for its available real estate and labor force as well as its centralized location as a launching point to the Mountain West market, Chief Executive Andy Gamble said. 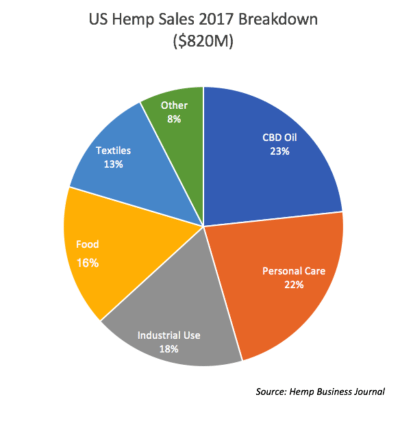 “Colorado doesn’t currently have a company that does what we do and we feel that it is a great market for our business model,” he said in a statement prior to Monday’s event. The Pueblo processing center will operate as a multipurpose center, Gamble said. The prospect for growth beyond the 163 jobs is strong. Read more on the Chieftain! The Pueblo area’s unemployment rate fell to a near record low of 3.5 percent in May. The rate is a tick higher than the area’s modern-era low of 3.4 percent, set 18 years ago in May 2000, according to preliminary employment estimates released Friday by the state Department of Labor. The state’s current record keeping began in 1990. 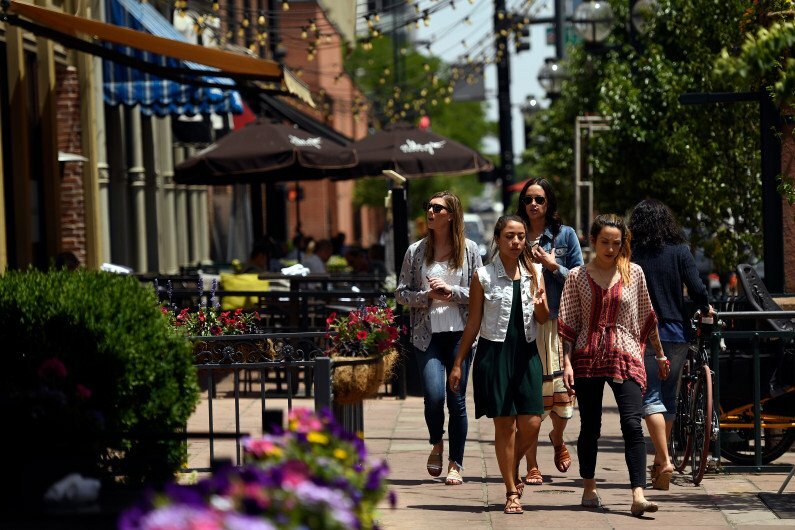 The drop comes as Colorado and the nation also report the lowest jobless rates in decades. The U.S. jobless rate fell to 3.8 percent last month. Colorado’s rate fell to a seasonally adjusted 2.8 percent in May. The state’s job market remained among the hottest in the nation with a solid 7,700 nonfarm payroll jobs added in May, the third time in four months for larger-than-usual job growth. The Fort Collins-Loveland area reported the state’s lowest jobless rate at 2 percent. Pueblo’s primary job creation efforts also are finding success. Primary job employers bring so-called “new money” into a community by producing goods and services to sell to customers from outside of the area. Last week, Midwest produce distributor and processor Russ Davis Wholesale announced plans to open a Pueblo plant and hire 163 or more workers starting in the fall. Andy Gamble, chief executive of Minnesota-based Russ Davis Wholesale, said the company chose Pueblo for its expansion West in part for the available labor force and after passing on Denver metro area due to its crowded and costly real estate market. 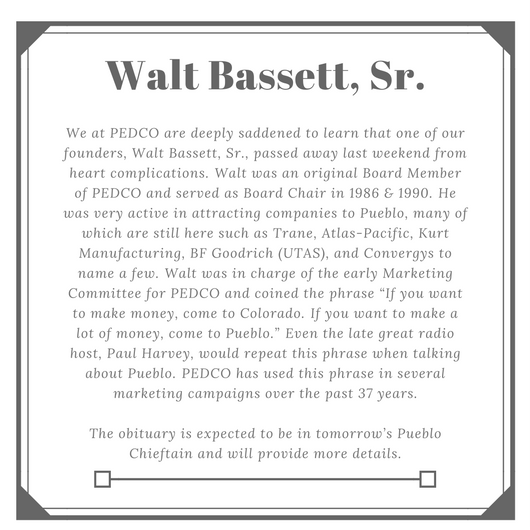 At the same event, Pueblo Economic Development Corp. leaders said they expect more unspecified primary job announcements in coming months. 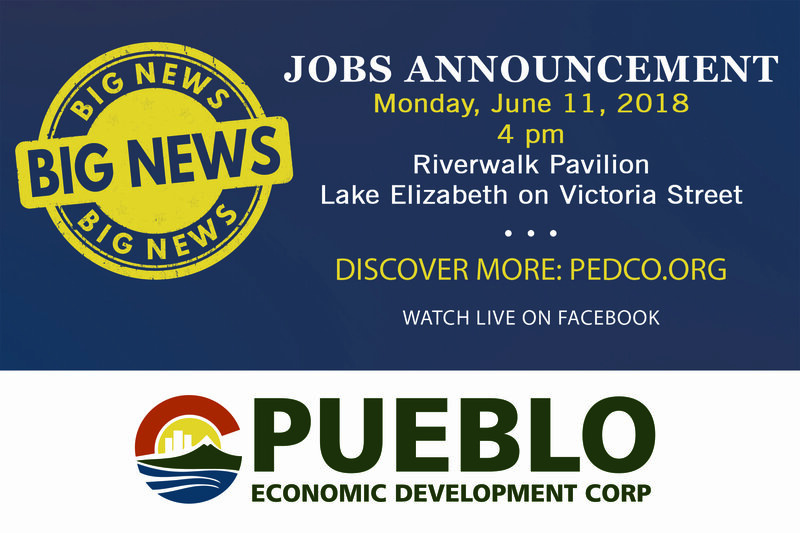 PEDCO President Jeff Shaw has described interest in Pueblo among prospective employers as the strongest in years. Read more from the Chieftain! Xcel Energy has cut carbon emissions 35 percent since 2005 and expects to surpass 50 percent by 2022, largely by retiring aging coal plants and replacing them with renewable sources. Xcel has announced the retirement of 20 coal units, accounting for 40 percent of its coal-powered capacity, from 2005 to 2026, including several in Colorado. To fill the gap, the company has invested heavily in wind-powered sources, and to a lesser degree solar, while also promoting energy conservation. 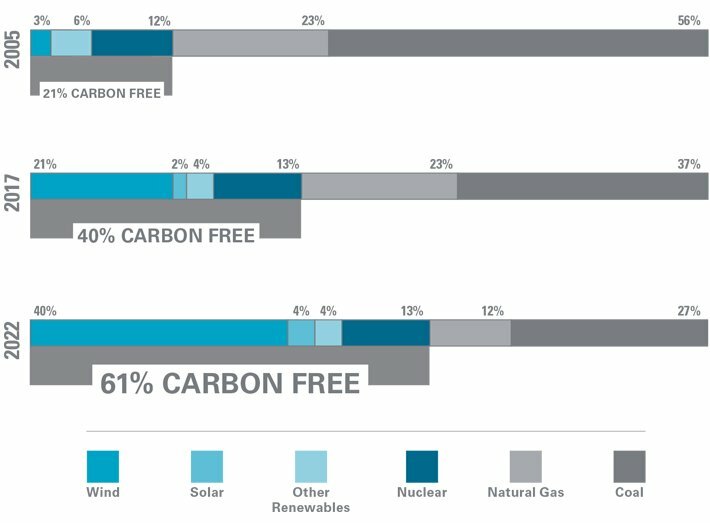 Last year, about 40 percent of the electricity Xcel supplied came from carbon-free sources, and half of that amount from wind. Besides reducing its carbon output, the company said emissions of sulfur dioxide and nitrogen oxides were down by more than 70 percent. It also has cut its water consumption by 40 percent. Here’s the full story about Xcel’s 2017 highlights and look into the future. Read more about the future of Colorado recreation!